You Are Here: Home > What are the 2018 Acura RDX Performance Features? The 2018 Acura RDX comes with plenty of performance features that make it stand out from the competition. For starters, you’ll have your choice of front-wheel or all-wheel drive systems. Couple either of these with the 3.5L I-VTEC engine and the sequential SportShift paddle shifters for the control and power a luxury crossover should provide. Explore the 2018 Acura RDX performance features below. Along with a solid engine, the Acura RDX also provides plenty of performance details that make this vehicle stand out. The 2018 Acura RDX model boasts plenty of performance features that get drivers excited to hit the road. When you couple this with a comfortable interior, the competition has a tough time keeping up. 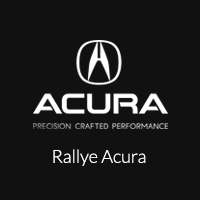 Rallye Acura has a great selection of Acura models to choose from, so stop by our dealership today at 1750 Northern Boulevard in Roslyn, NY to see what we have to offer. You can also contact us at 516-508-9147 to learn more about our current offers or schedule your test drive.